Over the years, I have come to the conclusion that, winning or losing the games you play largely depends upon things such as how experienced you are, how professional you are, how good your competition is in the particular game, and also something very important, is your gaming mouse. Playing with an ordinary optical gaming mouse with non-programmable buttons usually ends up reducing your chances of winning the match while an advance mouse with programmable buttons, high DPI, easy to hold and use design, moderate weight, and optical sensor can open the door to bagging wins. Moreover, when you have such a feature rich mouse in your hand, you not only feel confident but also are capable of outperforming yourself. SteelSeries Rival 700 brings along with it all these features and more, offering its user that engineering advantage other mice in the market fail to live up to. From the house of SteelSeries, the Rival 700 has been created to provide professional gamers with an extra advanced tool that can help them create a win-win situation in every game they enjoy to play. It has 7 programmable buttons that give you quick and easy access on several occasions throughout your game, any average MOBA-player could see the potential of having this, for their active items, giving you that edge in your Dota or LOL match up. As different games have different controls, the Rival 700 is designed to store several profiles that can be customized for your favourite games, which means, you would need to struggle again and again to come up with the best settings, thus making the transition between games just an easy affair of clicking into a different profile and having all your settings back for either an FPS game or a strategy one. 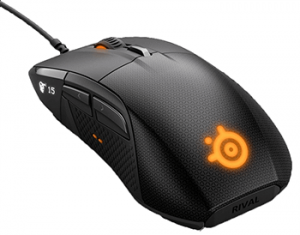 The design of Rival 700 is very comfortable, it is amazing how snugly the mouse fits in your palm, allowing you to control more efficiently, Moreover, it comes with two cables that are interchangeable. One of these cables is braided and has 2 M length and the second one is non-braided with 1 M length. Visually, the mouse hardware seems rich, the mouse has an RGB LED spectrum to amplify its fashion appeal, and least to say, it looks absolutely gorgeous, one of the most outstanding drawback on the mouse would probably be its weight, it is quite a heavy mouse and needs some efforts to be piloted around your mouse pad, but with its textured finger grips on both sides makes it easier to control and also feels good on in your hand, as stated early, the OLED screen stands out on the mouse and for good reason, as it helps to improve readability. 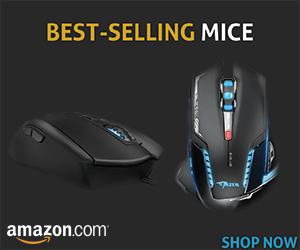 The most attractive section of the entire package of the mouse is the OLED screen the side of the mouse, his was my first time seeing such a sleek and beautiful on-mouse screen, what I was not prepared for was the amount of functions the screen had, firstly, I could personalize my Rival 700 by putting my in-game name on it, which was sort of expected and many other mice have a similar feature, but what caught me off guard was that, the OLED screen provided me with Real-Time stats of the game on my mouse! Between my CS:GO matches, I had the option to go through my game statistics such as my accuracy, headshot percentage and much more. 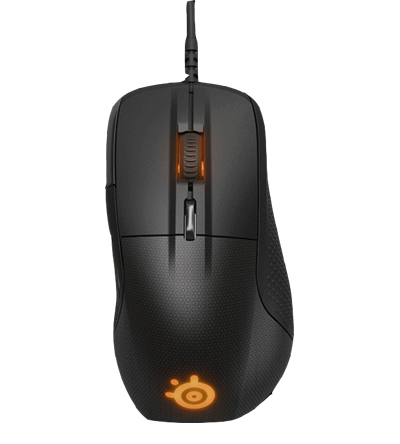 With the help of SteelSeries Engine gaming software that comes with the Rival 700 mouse, you can create multiple profiles and use them as and when required, as stated early, the OLED has the ability to show you’re in-game stats, the mouse right now only supports CSGO and DOTA 2, but perhaps in future it may offer support to more games. Its DPI switcher is sensitive enough to let me change the DPI on the fly when I need the DPI lower or higher than what I had set in the profile. It supports 100 DPI to 16000 DPI, the DPI range is amazing for such a mouse, it does not only let me have complete control over my game at lower DPI’s but also allows me to switch into a swift beast of a mouse and all over your mouse pad when the call for the higher DPI echoes in, the mouse has something for most games, least to say, the more I use this mouse, the more I realize that this might be the best mouse I have ever held. In addition to the design, the Rival 700 gives you the real feel of playing games with Tactile alert and events. You can now feel in-game events with Tactile alerts that range from the intensity of vibration, which is quite an advantage when you are in middle of firefight and have been stunned. There are almost zero cons in the mouse, maybe the fact that it is slightly bulk on your pockets might be one, but hey, for the features it offers, it is a 100% worth. 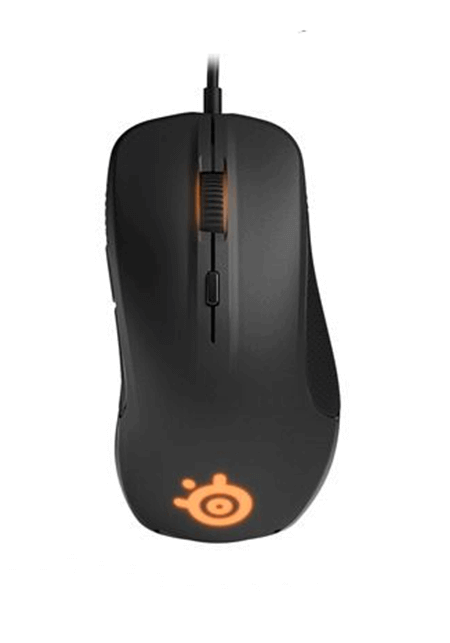 It would have been nice if the mouse OLED supported other games other than CSGO and DOTA 2, but it seems unlikely we are getting that in the near future, all in all, SteelSeries Rival 700, is an excellent mouse and a clear improvement compared to its previous entry, Rival 300. With its customization feature, you can personalize it to display gamer name, your team’s logo, etc. No cons? What about the fact that it weighs way too much, and all the “features” are basically gimmicks? Strip out the gimmicks you would never use, and you’d have a great (and much cheeper) mouse.